For easy system integration, each DJ-8M is self-powered using a high efficiency 480 Watt MAX amplifier. A 1/4" Jack input for microphone means you can connect a dynamic microphone directly to the system for quick on-the-fly speak applications. It can easily be placed on any surface or mounted on a pole. 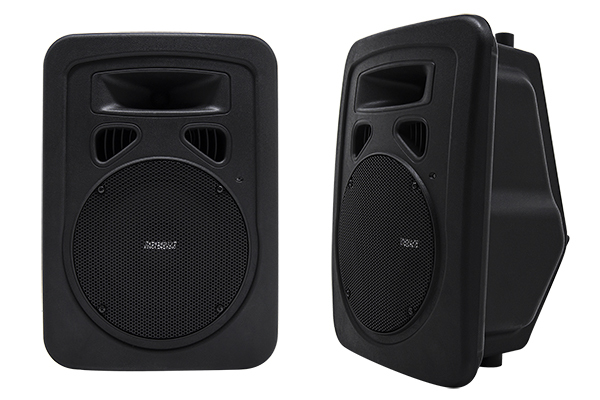 DJ-8M is the quintessential do-it-all loudspeaker system. 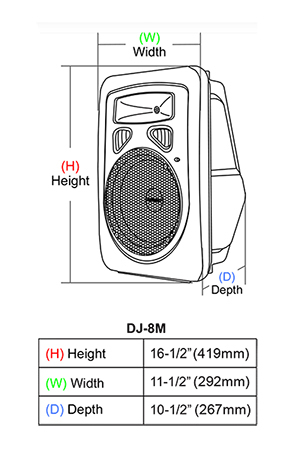 The DJ-8M is designed to be user-friendly with no compromise in performance. In fact, they are so easy and straightforward to use that they don't even come with a manual. Small footprint, lightweight and versatile- the DJ-8M is perfect for virtually any situation where sound reinforcement is needed. Being for public address,karaoke, live reinforcement, club use or impromptu speaking at coffee shops, schools, fitness centers, etc. Built from the ground up with the fundamental elements that makes a product distinctly Earthquake - Power, Performance and Quality. 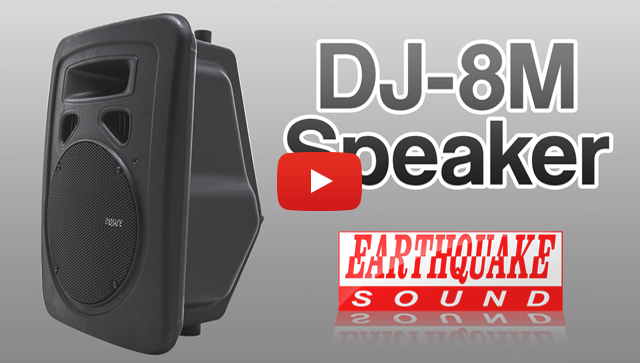 DJ-8M offers amazing performance at an unparalleled price. The compact powered speaker has become the essential easy go-to solution for DJ's, musicians, and pro audio professionals. It is our sincere belief that the combination of price, performance and quality makes the DJ-8M the best in this category on the market today. For over 27 years Earthquake has been designing and manufacturing top quality audio equipment. The DJ-8M is no exception to this ledger of excellence. We are certain that you will enjoy using them for many years.